Quixote Studios is pleased to announce the acquisition of One Drop Rentals in New York City. 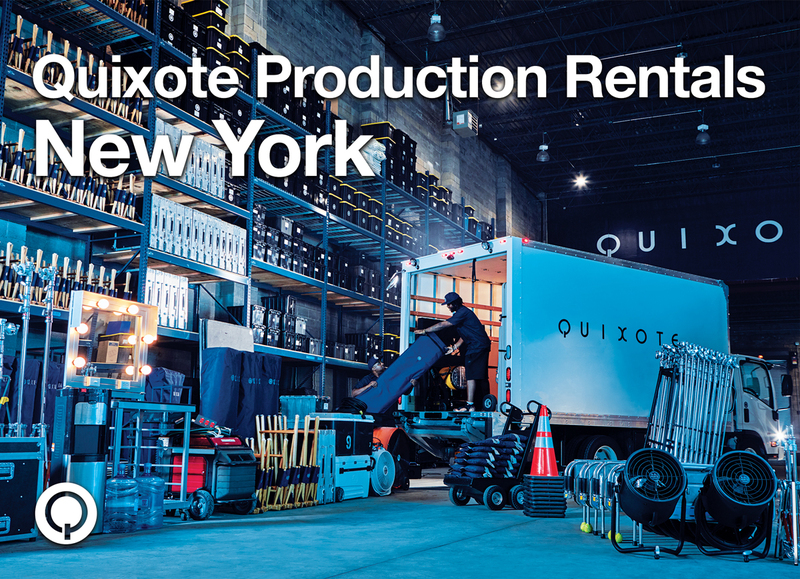 Now known as Quixote Production Rentals New York, the team led by former One Drop partners Joe Elison, Tim Tobin and Michael Dos Santos have years of on-set, pre and post-production experience and are committed to fulfilling Quixote’s high-end service mission: To simplify the complexities of production by enabling producers and artists to do their best work with high-quality equipment, innovative tech and unyielding customer service. At our new Drive-Thru warehouse located in the heart of Brooklyn, we have an entirely new stock of production equipment, walkies, high-speed proprietary wifi units, an expendables store, grip, photo lighting and digital equipment. We are also offering new 2017 Isuzu trucks, preloaded with a preset list of production supplies and expendables, that can be tailored to your liking as needed. The trucks also come with our own approved and trained Quixote driver for your convenience. Quixote has also adopted One Drop’s industry renowned All-Star PA staffing service and plans to continue growing its army of standout production assistants by spreading the good word and values of the Quixote brand. We are excited for what the future brings for Quixote in New York and promise to expand our services over the years to come.